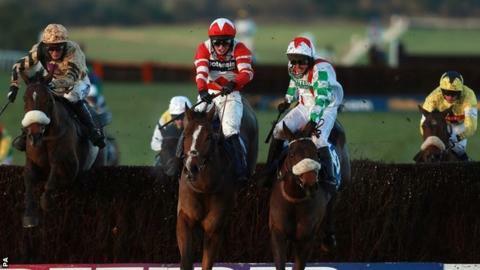 Welsh Grand National organisers have said they will not consider moving the race to a different time of year. The Chepstow race has been rescheduled three times in the last five years due to adverse weather conditions. Saturday's re-arranged race could be in doubt with more rain forecast but clerk of the course Keith Ottesen wants the race to remain scheduled for Christmas. "I don't think we would move it, everybody expects it to be there," he said. "I think we've got a great position plus the fact the trainers know where this race fits in. "We've put a mechanism in over the last five or six years that we can move the race by a week or maybe two weeks so we save it. "It's one of the most prestigious races of the calendar." The original meeting on 27 December was called off after heavy rain caused a waterlogged course. Ottesen said a "last-minute decision" will decide whether Saturday's rearranged meeting will go ahead, with more rain forecast for Friday and Saturday.